Sioux Chief’s test devices include Test Titan™, T-Cone™, Hand Tite™, Tee Pee™, Inflatable Test-Tee Plug, Inflatable Test Plug, Grip Tip™ and miscellaneous plugs and caps. Looking for gas test gauges, WOG pressure gauges or test assemblies? 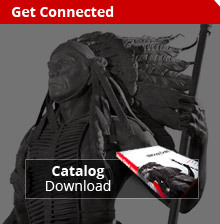 You’ll find them all right here at Sioux Chief. © 1999-2017 Sioux Chief Mfg. Co., Inc. All rights reserved.